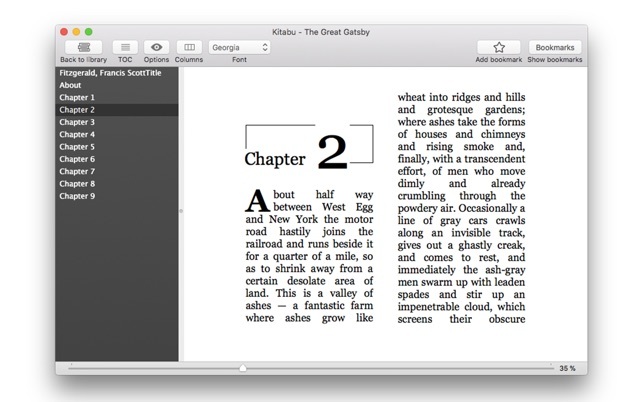 Kitabu is our easy to use Desktop ePub reader. 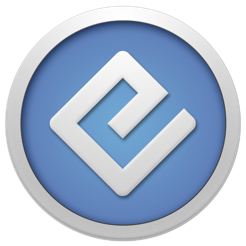 Best desktop ePub reader for all your devices. 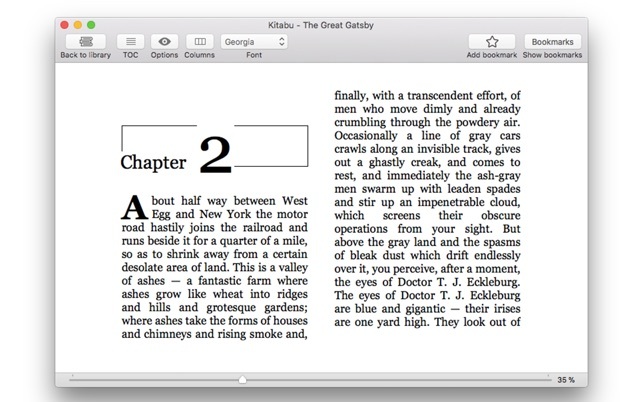 Simply drag and drop your eBook into Kitabu and start reading. Store all your eBooks safely into our Cloud Library and read them whenever, wherever you feel like it. - E-book library in two views. - Book pane selection. Book can be displayed in one, two or three panes. - Font and background selection. - Plays audio & video. 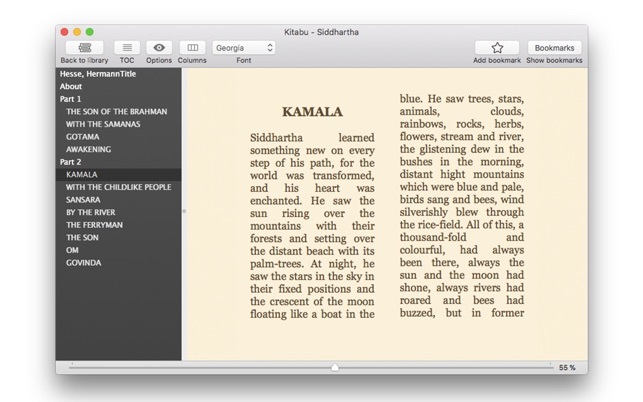 - QuickLook plugin that previews ePub file metadata directly from the Finder. 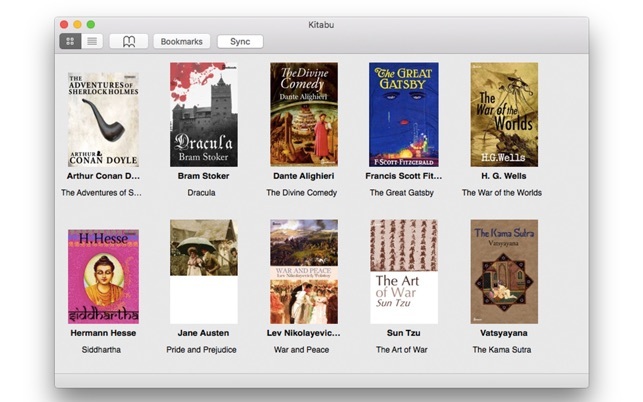 Sync Feature - now you can sync your e-book library directly to Kitabu cloud. Click on the new Sync button, log in with Google, Facebook account or create account manually and start syncing. First 30 days are free!